New for 2017 - We have Lowered our Prices!!! At Balance Your Body Yoga we are always looking for ways to encourage those who wish to learn more about yoga. We are dedicated to providing a scientific foundation for you to build safe and effective teaching skills. With this in mind we have lowered our early registration and regular registration prices for those who are wishing to use a 'pay as you go' plan for their training. If you are looking to save even more, then please contact a Program Advisor for more information on our payment plans. Balance Your Body Yoga offers more options than some teacher's training programs in that you don't have to commit to the entire program at once. You can start your training for as little as $23 and take the courses as suits your schedule and interest. Some of our trainees like this 'pay as you go' plan because they can control the pace of their learning, reduce the up front costs and still receive a substantial discount for early registration. We will track your hours in this kind of plan and let you know what you need to complete a 100, 200 or 500 hour program. We also offer greater discounts for registering and paying for an entire program. Not only do you receive our steepest discounts with this version, but also you will be able to take unlimited group classes from us at no additional charge. Please contact us to get details on discounts for our 100 hour, 200 hour or 500 hour programs. Of course price is not the only thing to consider in a yoga teacher's training program. We offer a comprehensive program that focuses on anatomy and physiology so you will understand the underlying concepts that makes yoga so effective. Our program includes a thorough grounding in yoga history and philosophy as well as topics covering nutrition, yoga energetics and relaxation methods. We also offer our expertise into the world of recuperative yoga and how transformational yoga can be for students of varying physical abilities and recovering from injuries. For your benefit, this training is not a rushed intensive program that crams too much into just a few short weeks. We let learning travel at a healthy pace so that you can absorb the information more naturally and with less stress. The modules take place over the course of a year, typically just one Friday and Saturday a month so the training program works well with those who have work or family commitments. We also allow you to start your training at any time and there is no restriction on how long you take to complete your training. We are a Yoga Alliance registered training school which means completing a 200 hour program allows you the option to apply for Yoga Alliance registration. With a Balance Your Body Yoga training certificate and national Yoga Alliance registration, you will have more options available to you as a yoga instructor. We would love to hear from you and answer any questions you have. We offer a complementary consultation to discuss your training plans. 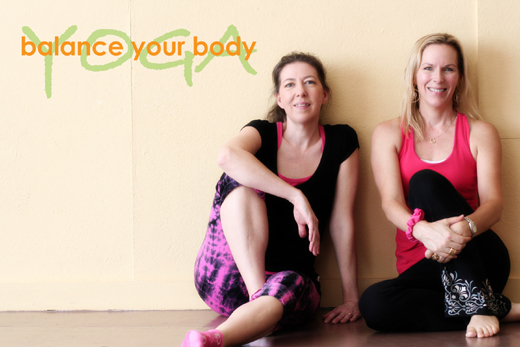 Call us (281-206-4292) or email us (bybyoga@yahoo.com) today and let us know how we can help you. 4. Rejection or Cancellation of Registration. 6. Refund Policy - Before Start of Course. 7. Refund Policy - After Start of Course. 10. Certification of Completion Withheld. 12. Waiver of Right to Sue. 1. Definition of Parties. In this contract the terms "we" and "BYB" refer to Balance Your Body Yoga, doing business as BYB yoga; and the terms "you", "student" and "applicant" refer to that person whose signature appears on page one of the contract. Applicants must be in reasonably good health to undertake our programs. Any applicants with physical limitations are welcome to apply. We will do all we can to make our programs accessible to any who wish to make the effort. Those who believe they will need special consideration for their physical ability should consult with a BYB program advisor so any accommodations may be anticipated before the program begins. In the event of insufficient enrollment or for conditions outside of our control, we may, at any time prior to the start of the course, be required to cancel the program, in which case any course fees paid will be refunded (unfortunately we are unable to provide any further compensation). Due to the nature of the this yoga program, we reserve the right to decline or cancel any registration at any time prior to the start of the course, in which case any program fees paid will be refunded (unfortunately we are unable to provide any further compensation). To ensure as much as possible the enjoyment of all students, inappropriate behavior by a student during the program (as determined by the course instructor, acting reasonably) will not be tolerated and may result in the student being given written notice and having to leave immediately, and the student's registration canceled, subject to paragraph 7 below, without any refund or compensation. Inappropriate behavior includes absenteeism for longer than two consecutive days of classes without informing a BYB representative and providing a reasonable explanation. Inappropriate behavior also includes cheating or plagiarism, theft or non-accidental damage to BYB's property, behavior displaying violence towards BYB instructors or students in the program, insubordination, refusal to co-operate with instructors, fellow students or schedules, use of alcohol or non-prescription drugs in class or attending classes under the influence of alcohol or non-prescription drugs, flagrant disrespect of BYB's rules of conduct and policies, and non-payment of scheduled tuition fee payments, if applicable. A student must provide written notice to BYB if he or she wishes to withdraw from the program. Where total fees have not yet been collected, BYB is not responsible for refunding more than has been collected to date. If BYB receives such written notice less than seven (7) calendar days after this contract is made and before the program starts, BYB may retain $100 of the tuition. Where total fees have not yet been collected, BYB is not responsible for refunding more than has been collected to date. The student must make written notice of intention to withdraw from the program. Absences of more than two consecutive classes without written notice may result in cancellation of the program without any refund or compensation. For students who paid for the total program in advance. The modules and classes of the program attended will be noted. These cost of these modules and classes will be calculated at the single module fee rate without discount. This total amount will be subtracted from the total fee as well as a $200 processing fee. Any remainder will be refunded to the student as long as no more than one month has passed since the start of the program. For students who are on a payment plan. The modules and classes of the program attended will be noted. These cost of these modules and classes will be calculated at the single module fee rate without discount. This total amount will be subtracted from the amount of program fees they have paid as well as a $200 processing fee. Any remainder will be refunded to the student as long as no more than one month has passed since the start of the program. If it has been more than one month since the program's start date, no refund will be provided. In this instance, we allow a student to use any remaining program balance (minus program cancellation and processing fees) towards other programs at BYB yoga. Program evaluation will take place by a minimum of one written test and one practical evaluation for each 100 to 200 hours of programs completed. A certificate of completion requires the student to pass both parts of this evaluation. If a student fails the first attempt at passing the written or practical evaluation they will be allowed to retake the test after completing suggested additional study or practice. If the student again fails the written or practical test they must take remedial classes and pay an additional $100 test fee before being allowed to retest. Upon successful completion of the Program, graduates will be awarded a certificate of completion. BYB will issue and mail certificates of completion within one month of the completion of Program requirements. BYB will issue a summary of the training program as evidence of compliance with standards issued by such entities as Yoga Alliance within three months of the completion of all program requirements. Although BYB yoga does everything it can to ensure our programs meet and exceed Yoga Alliance standards we do not guarantee a student will be accepted by Yoga Alliance for national registration. 10. Certificate of Completion Withheld. Please note that BYB reserves the right to withhold a certificate of completion from any student who has completed all tangible program requirements but has not passed both written and practical examinations for the program they attended. Additionally, students will not receive their certificate until all program fees have been paid in full. You hereby irrevocably grant to BYB (for all media throughout the world (including print, home video, CD-ROM, DVD, internet and any other electronic medium presently in existence or invented in the future) the right to use, including, without limitation, the right to exhibit, display, broadcast, distribute and create derivative works of and incorporate (alone or together with other materials), in whole or in part, photographs and video footage taken of you as a result of your participation in approved BYB activities (the "Property"). All completed homework assignments and any written information required of you for completion of the course become the exclusive property of BYB. You hereby relinquish any right that you may have to examine or approve any completed products, advertising or printed matter that may use the Property. This agreement shall not obligate BYB to use the Property or to use any of the rights granted hereunder. BYB shall have the right to assign its rights hereunder, without your consent, in whole or in part, to any person or legal entity. You waive any and all claims you may now and in the future have against, and release and forever discharge from all liability, and agree not to sue, BYB, or any of either of its owners, operators, instructors, volunteers or other representatives (all together, the "BYB Group") for any personal injury, death, property damage or loss sustained by the applicant as a result of the applicant's participation in the Teacher Training Program and in connection with the Property due to any cause whatsoever, including and without limitation, active or passive negligence, imprudence, lack of skill, error or judgment, breach of contract, or breach of statutory duty of care on the part of any of the BYB Group. Without limiting the foregoing, you hereby agree that you will not bring or consent to others bringing claims or actions against the BYB Group, or any member thereof, on the grounds that anything contained in the Property or the use thereof is defamatory, reflects adversely on you, violates any other right whatsoever, including, without limitation, rights of privacy and publicity. You agree to save harmless and indemnify the BYB Group from and against any and all liability for any personal injury, death, property damage or loss to any third party, resulting from your participation in the BYB Program. All teacher trainings are ongoing. You can begin your training at any time.